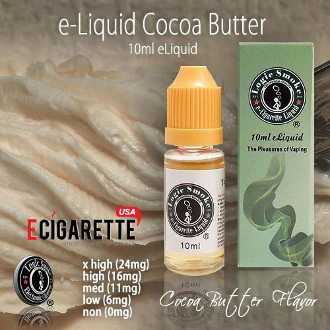 If you are a chocolate lover, you will enjoy our Cocoa Butter E-Liquid from Logic Smoke. Cocoa butter is the rich, creamy base used to make chocolate and adds to the creamy smooth texture and the long finish that characterizes fine chocolate. Pick up some of our Logic Smoke Cocoa Butter E-Liquid today and enjoy the decadence.